I have a BUNCH of wild turkey feathers that I've ground and they need to find a new home! If anyone of you trad guys want to make a deal(trade) ect. Just pm me! I also have the ability to make 4" and 5" shield fletching, or 5" parabolic if someone would like that! I screwed up the other day and didn't save the ones off the turkey I got. I wouldn't use them but would gladly let others have them. I need to remember if I get the chance again. Good offer. Might hit you up to trade honey for feathers. Sounds like an interesting trade!!! what kinda trade you thinking? Ive got an old ben pearson long bow I might trade for some 4" shields. Still have a few feathers left! Mine came in today. I was ready for them. 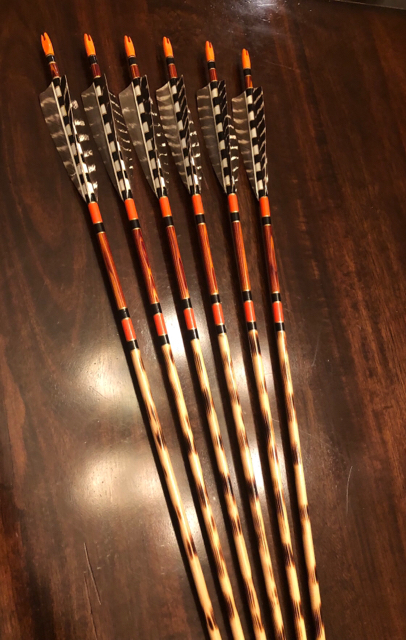 Arrows turned out real nice. Looks great man! I love some artsy arrows!! MEsquivel, you always make some of the nicest looking arrow. I like to make a new set every season. I get excited just by making them. I used to make a dozen. Now I only do 6 at a time. I hear ya, Bud. 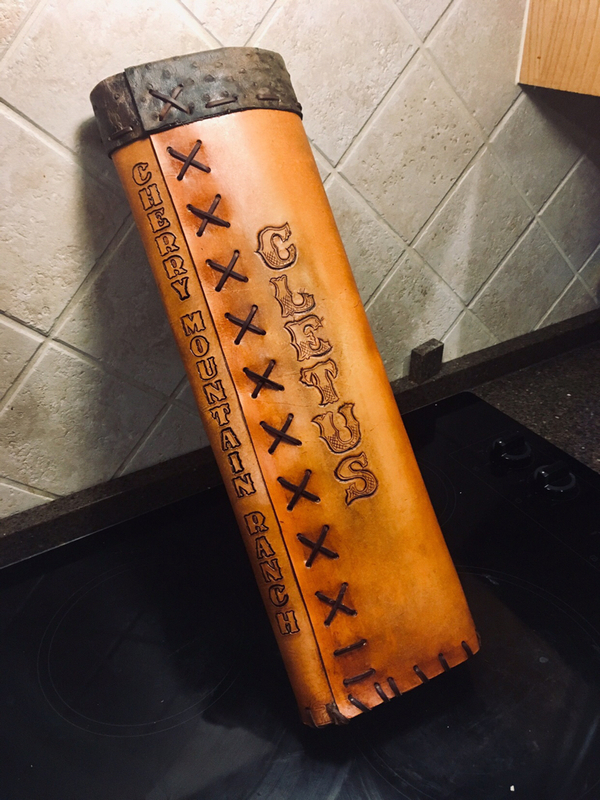 I just made my first quiver. I’ll be giving it to a buddy of mine. While it’s far from perfect, I enjoyed doing it and learned a lot in the process. The arrows sure are nice! Got mine yesterday, awesome feathers! Left wing or Right wing 5" Parabolic or Shield! Left wing or Right wing 4" shield! I'm running low on full length primary feathers at this time. Although I have plenty of secondary L or R Wing feathers that I can process for $10 a dozen full length or $12 dozen cut either shield or parabolic. I’m intrested in a trade or purchase but the site won’t let me send you a PM. Is there another way we can discuss it ? Mike Jennings, I sent you a PM! Can you tell me the difference in secondary vs primary? Stiffness, appearance or consistency? Primary feathers are the stiffer, longer feathers on the outside of the wing! Secondary feathers are the shorter feathers that aren't near as stiff and are closer to the body on the wing! Got some more feathers in today if anyone is interested!